Email is the best way to communicate. It’s instant and much less hassle than writing a letter. Not to mention it’s also cheaper. Setting up an email account is very simple and in some cases requires no money whatsoever. If you can get on the web you can find loads of email services that give you an address and much more. A lot of companies let you sign-up for a free email address but not only do you get email they also offer extended services such as calendars and SPAM protection. All you have to do is visit these sites and sign-up. You’ll be expected to give your name and address details as well as provide some security details. Once you’ve done this you need to pick an address that is supplied by the site. If you don’t like it they’ll allow you to see a selection of alternatives but remember that you might not get exactly the address you want. 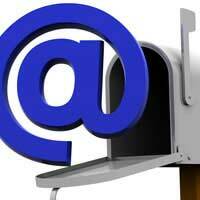 For those with an Internet account at home then you’ll have an email address supplied to you. These are usually administered from your computer rather than on the Internet. You’ll need to get Outlook Express or similar email package on your PC to send and receive messages. Most ISPs have help lines that can talk you through the process and in some cases they’ll supply a set-up wizard to help you along with the process. The advantage to having this kind of email account is that you can store your messages on your machine and they’ll never be deleted as can be the case with online systems. You can also control your mailbox by sorting emails into separate folders or more advanced stuff such as mass mailing. You’ll also be able to install your own more advanced SPAM email management. You can also use other applications on your PC that support email whereas this isn’t always the case with online email clients that require you to be on the Internet at all times. If you have your own website the space you buy will often have email addresses associated with it. For instance, if your website is www.myexamplesite.co.uk then you could set an email address as yourname@myexamplesite.co.uk. This is a much more professional looking email address and allows you to choose exactly what goes in front of the '@' symbol. Whichever email system you use they are very simple to manage and organise. If you just send the odd email and don’t need to be in-touch with the world at all times then the online email services should be more than adequate for your needs. If you want to be able to send messages without having to navigate to a website and go through the process of logging in each time you want to email then a PC based system is probably for you. Email address are becoming as common as phone numbers so if you haven’t already got one it’s time to join the electronic mail generation. It’ll speed up communications and enable you to communicate with people anywhere in the world. Once you’ve decided what kind of email account you want you’ll need to set it up. The online ones are easy as it’s all done for you. All you have to do is visit the website and log in to get your mail. If you are running your email from your desktop PC there are a few steps you have to take to get you email and though it requires you putting in some data it’s very easy to do. That all might look like gibberish but the step-by-step process of adding an account is just a case of putting the information in the right boxes. When you start Outlook for the first time it will ask if you want to set-up a new account. All you have to do is read the instructions carefully and type the data in that you are asked for. If you’ve already opened Outlook before and want to add a new account simply go to file and add new account and the process will be repeated. In other email packages the methods of adding email might be different but the information requested will be exactly the same. Now check that your email is working by sending a message to someone you know. Make sure you ask them to reply as it’s possible to set up an email account that can send but not receive and vice versa. If you don’t get a reply repeat the set-up. If you have further problems contact your email provider as sometimes they have special requirements. I used my surname as domain and now I have a personal email. this website - copy on google the following text "Personal email name - free domain registration" offers free domain registration and 3 personal email at the price of one for just £1 per month. This is the cheapest solution that I found and I am happy with it.